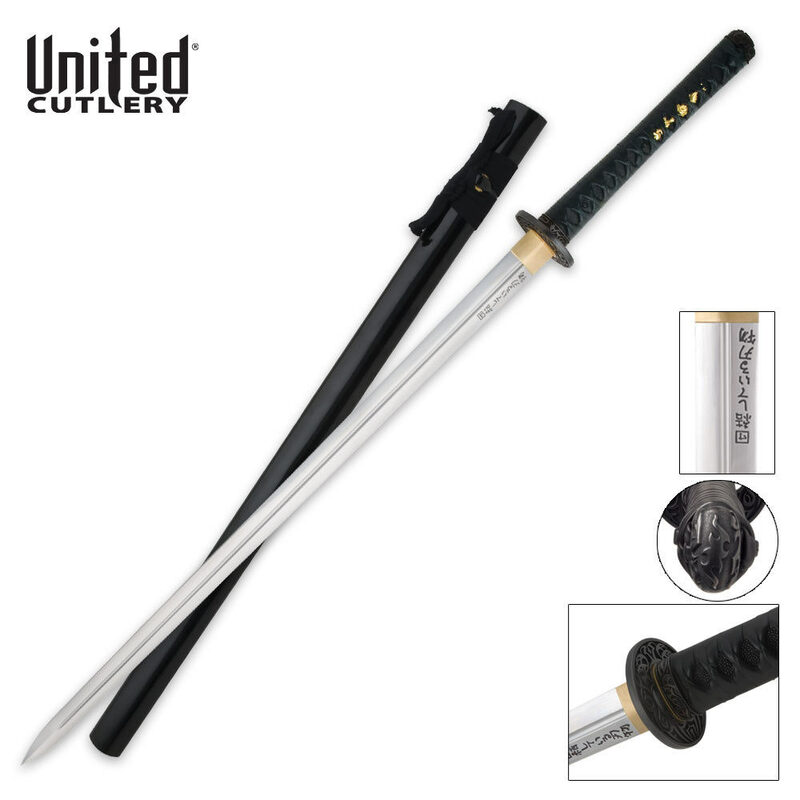 United Black Ikazuchi Forged Ninja Katana 1045 Carbon Sword | BUDK.com - Knives & Swords At The Lowest Prices! The Ikazuchi (Japanese for "thunder") is a fine addition to the United Black collection. This double edged sword measures 41 1/2" overall and features a mirror polished 30" blade of heat-forged 1045 carbon steel with a heavy blood groove. The blade tang has an exclusive stamp that can only be found on a United Black sword blade. The Bushido Code&apos;s seven virtues: rectitude, courage, benevolence, respect, honesty, honor and loyalty are laser etched on the blade. The hardwood handle offers black ray skin and custom leather wrap accented with brass menuki and a uniquely designed cast metal guard and pommel. Included is the custom black sheath constructed from hardwood. United Cutlery, UC2586.